Michigan Tech alumna Megan Krieger ’09, was featured in several articles nation wide. Krieger, a mechanical engineer in the U.S. Army, led a team that 3D printed a 32-foot-long reinforced concrete footbridge. Kreiger, who lives in Champaign, Illinois, became aware of 3D as a graduate student at Michigan Tech. The story was covered by Engineering News-Record, 3Dprint.com and 3Ders.org. She became aware of 3D printing at Michigan Tech, where she ran the 3D printing lab during graduate studies in material science and engineering. She joined the U.S. Army Engineer Research and Development Center in February 2015. 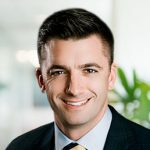 Michigan Tech alumnus Jeff Stauffer ’93, has been named a regional Utility Sales Director for Boarder States Electric. 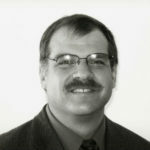 At Michigan Tech, Stauffer earned degrees in electrical engineering and business administration and served as the business manager for the Lode student newspaper. The story was covered in TED Magazine. 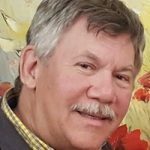 Michigan Tech alumnus John Hallquist, who received a master’s and PhD in Mechanical Engineering-Engineering Mechanics in 1971 and 1974 respectively, was featured in the article “John O. Hallquist, Ph.D., Celebrated for Innovations in Software Development,” in Business News Articlesand 24-7 press release.com. Hallquist was responsible for founding the Livermore Software Technology Corporation. RS&H Vice President and Texas CEI Leader Kirk Fauri ’03 has been named to ENR Texas & Louisiana’s 20 Under 40 list, a recognition of the region’s top young professionals. Fauri holds a BS in Civil Engineering from Michigan Tech. He serves as the prime CEI consultant with TxDOT in 10 districts and four regional mobility authorities. Mike Paddock ’87 volunteered with Engineers Without Borders USA (EWB-USA) to support volcano recovery in Guatemala. Mike, a 15-year veteran of EWB-USA, has spent the better part of six months in Guatemala responding to the Volcano Fuego disaster. He has a passion for Guatemala, and has contributed to the building of dozens of bridges, roads, schools and wastewater projects throughout the country, although volcano response is new territory for both Mike and EWB-USA. Paddock holds BS degrees in Surveying and Civil Engineering. Drive Source International (DSI) announced that Gary Patterson has been named municipal market manager. Patterson holds a Bachelor’s of Science in Electrical Engineering from Michigan Technological University, where he pursued the power option, specializing in rotating equipment and electrical power generation, transmission and distribution. 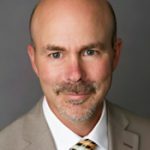 Michigan Tech alumus Grant Weidler ’90, has been appointed to the Texas State Board of Acupuncture Examiners. 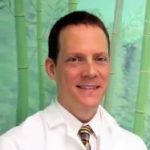 Weidler received a bachelor’s degree in mechanical engineering from Tech and a master of Acupuncture and Oriental Medicine from the American College of Acupuncture and Oriental Medicine. The story was covered on Public Now. 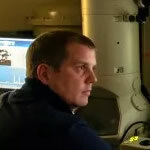 Michigan Tech alumnus Kevin Field ’07, was featured in the article “Kevin Field: Developing Radiation-Tolerant Materials for Nuclear Power Systems,” in DOE News. He enrolled in a mechanical engineering program at Michigan Technological University only to discover he didn’t like mechanical engineering. He shopped for a new major and picked materials science and engineering. For his senior project, Field used simulation to redesign the casting of a differential bell housing [powertrain part] to optimize molten material flows and eliminate porosity. 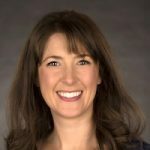 Shannon Kobs Nawotniak is one of five Idaho State University faculty members receiving 2019 Outstanding Researcher Awards. Nawotniak, a physical volcanologist, is an associate professor of geosciences and director of the University Honors Program. She earned her Bachelor of Science and Ph.D. degrees in geology from Michigan Technological University and the University at Buffalo, respectively, and has been at ISU since 2011.